pandaphilia: H&M giving out $5 gift cards! 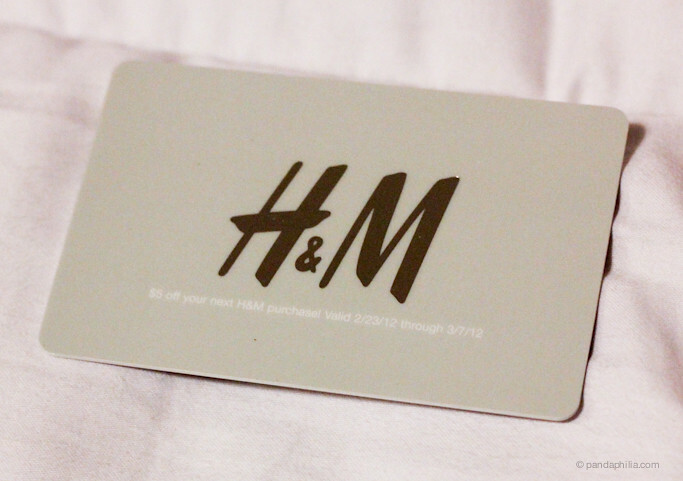 I spent $25 on Thursday at my local H&M and was also surprised with a gift card. Interesting, I was just at H&M!!! I bought something for my niece, but it was a five dollar shirt. I feel jipped! But I will be shopping there soon... so thanks for the tip : ).